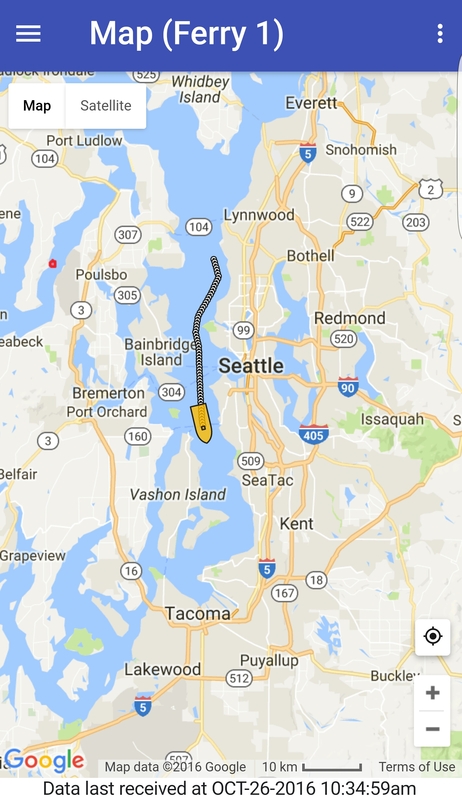 Maretron N2KTracker® works together with Maretron Telemetric Cloud Service to allow you to use your Android or iOS smartphone or tablet to observe the position of your vessel as well as view selected vessel operating parameters. N2KTracker® shows your boat’s position and recent track on a Google map. It also allows you to create, enable, and disable a geo-fence around your boat’s position so that you or others can be alerted if your boat leaves a specified area, and allows you to enable and disable notifications via e-mail or SMS text message. 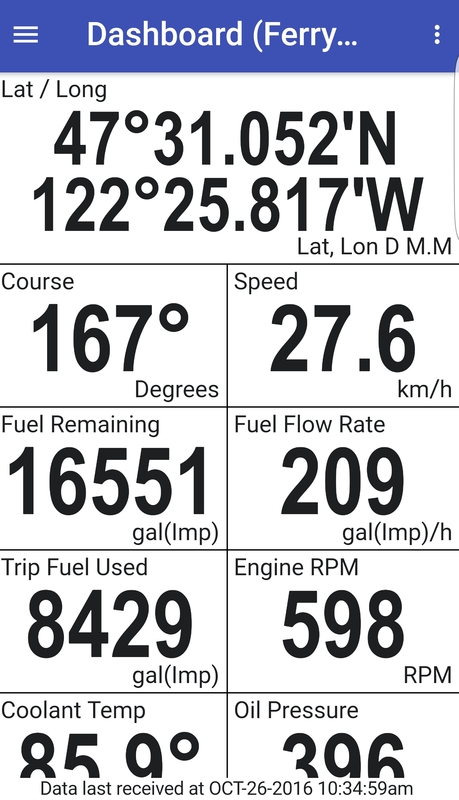 N2KTracker® also has a dashboard function so that you can select any data stored on the cloud for viewing, such as engine hours for maintenance tracking, fuel levels for cost management, engine parameters so that you can ensure proper operational procedures are being followed, or bilge pump runtime to ensure your boat will remain safely afloat. N2KTracker® works equally well whether you have a single boat and want to share your voyage with friends, or if you manage a fleet, allowing you to quickly and easily change the selection of the vessel you are viewing. Please download N2KTracker® directly from the App store. From your iPhone or iPad, go to the "App Store and search for "N2KTracker". N2KTracker® requires iOS 8.0 or later. Please download N2KTracker® directly from the Android Market (Play Store). From your Android device, open the "Play Store" App and search for "N2KTracker". Your Android device must be running Android version 4.0 or higher to be able to run N2KTracker®. If you are running a previous version of the Android Operating System, then the app will not be visible in the Market.